After a one year stint as president of Method Studios, a Deluxe subsidiary, Marc Weigert is back as CEO of Uncharted Territory (UT). UT has been working since December 2014 on Independence Day Resurgence, the long awaited sequel to be released exactly 20 years after the first Independence Day movie. 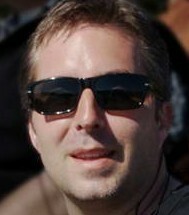 Marc will come aboard as VFX supervisor of UT’s in-house unit for selected sequences of the film.